So, I have to admit, I have some of the weirdest phobia's. 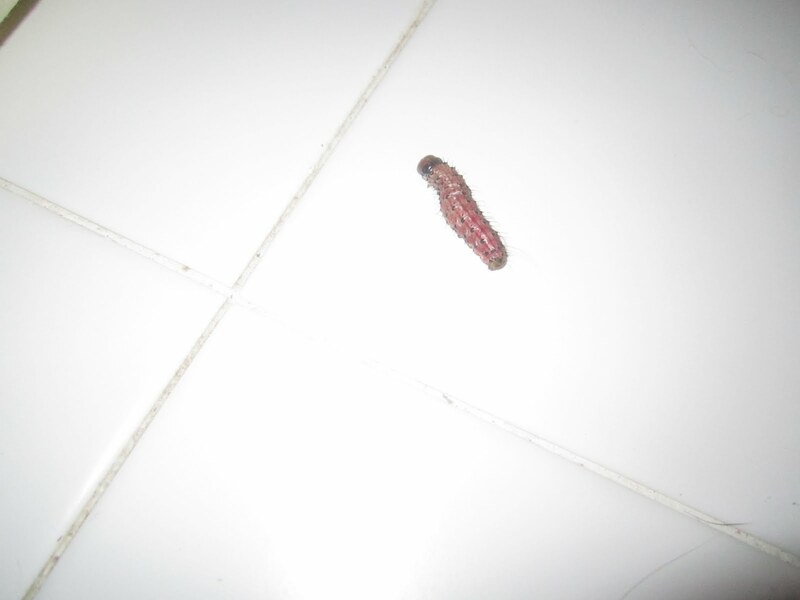 Caterpillars being one of them.. And of course the other day, I went into my bathroom and found this guy in there on the floor. How it got in my bathroom, I have absolutely no idea. I have a better picture for next Wordless Wednesday. I was going to post it today, but I can't find the adapter to my camera :(. It's super funny, and I can't wait to share it! aww,i am thankful that the Caterpillar didn't get you! it will turn into something that flies!..thank u for sharing! Amanda, I flip out about huge spiders!! Hope that you are doing better, it's not easy losing a family member. I don't mind running across little bugs/spiders. It's stuff like snakes that I don't want to see. It's a good start for you. Your first wordless wednesday is very nice. Keep it up! Ewwwwww! I grew up on a farm, played in the creeks and streams with water striders and tadpoles, picked up caterpillars all summer. I am not afraid of mice at all, most snakes. But bugs, bees and the likes of this guy. icky. LOL!